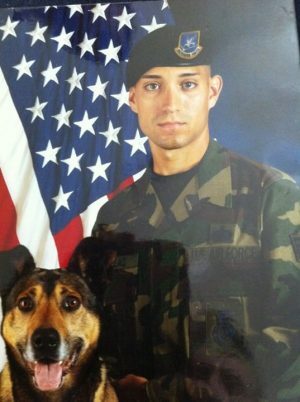 United States Air Force veteran Roy Casillas and his partner Ori. Their duties ranged from base security to working with the United States Secret Service while VIPs visited. Ori was dual certified as a patrol dog and an explosives detector dog. United States Air Force veteran Roy Casillas is pursuing a degree in the Master of Science in Organizational Leadership (MSOL). Roy is also a graduate of the UI&U Emergency Services Management (ESM) undergraduate program. Read about Roy and his goals in the Q & A below. A: I want to move up in my organization. I want to be promoted to a leadership/manager position. I decided to go the MSOL route over the MBA one because I want to focus more on the people and organization, rather than the business. A: My advisor, Sandra Lee, encouraged me to take the MSOL pathway. I thought my ESM degree to a master’s would be a good fit for my career. A: My kids—they make me want to better myself. Choose to be a leader in your career with a Master of Science in Organizational Leadership (MSOL). Click below.